This past weekend was the first weekend getaway for the Brisbane International Student Ambassadors (BISAs). 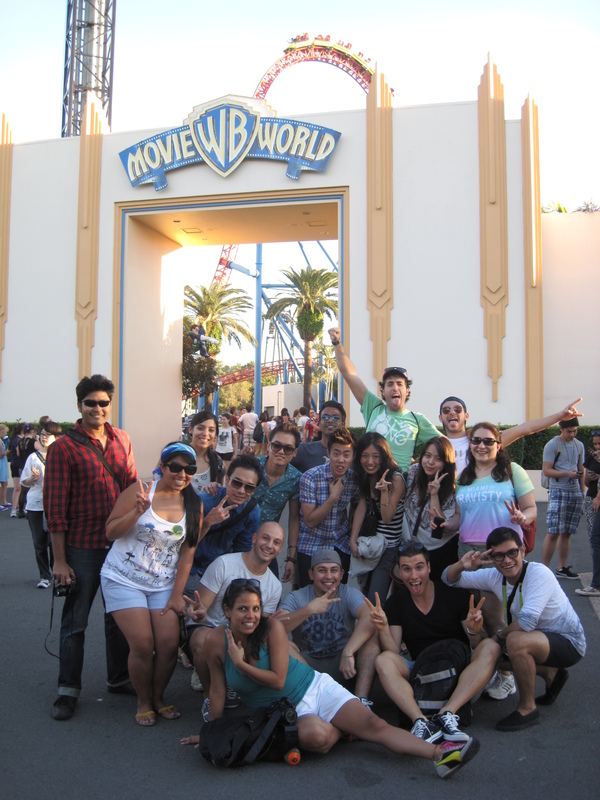 Brisbane Marketing (BM) so kindly arranged for us to visit three theme parks in three days with the 2012 BISAs! The purpose was a welcome to our class/farewell to last year’s class and an opportunity for the two classes to meet. We were invited to visit the GoldCoast (GC) and explore Sea World, Movie World, and Wet ‘N Wild! Since everyone has varying schedules, we could decide which theme parks we wanted to attend and BM also kindly arranged for us to test out the SEEQ cards that allow you unlimited Translink ferry, train, and bus travel to South East Queensland for three or five consecutive days, depending on which card you need! In addition, over $700 value in offers and discounts are available to you at more than 80 tourist attractions, theme parks, etc. What a deal. 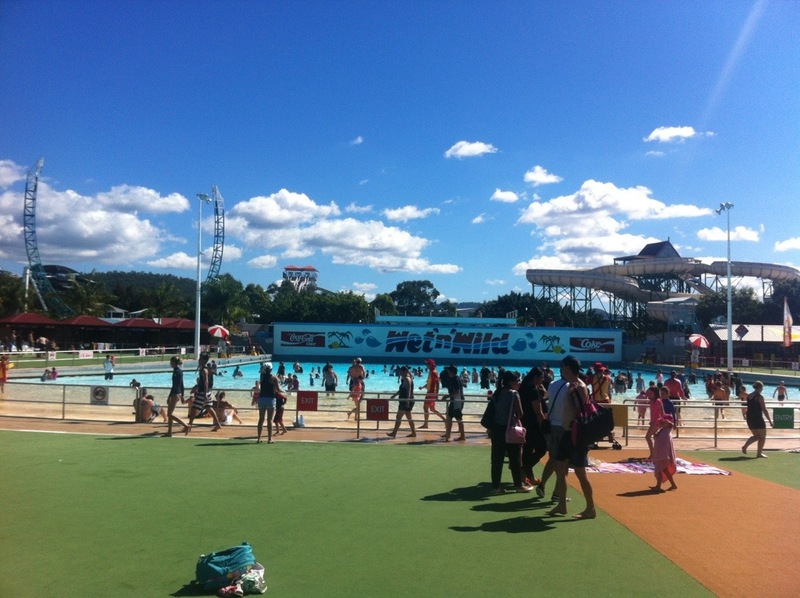 I visited Movie World and Wet ‘N Wild and highly recommend anyone visiting the GC to put both of these attractions down on your must visit lists! Even with the perfect weather, the wait for the rides weren’t long at all. My favorite ride at Movie World was Superman’s Escape followed by the Green Lantern! I am a roller coaster enthusiast so I would say that most of the rides are moderately scary at best. Some of the other BISAs were deathly scared of the rides so it was nice to balance out one another and encourage those who were nervous. Then they had a parade, shows, and a variety of other attractions that kept us occupied all day long. We ended the day watching the stunt driver show that was filled with suspense and a few close calls with the three cars. My favorite was probably when the cars were driving sideways! The next day, we visited Wet ‘N Wild and splashed our way all over the park. I had fun with all the water rides but one of my favorite rides was the Surfrider Ride where we were strapped onto a giant surfboard that glided up and down a 30 meter “wave” spinning us round and round. The view was fantastic and I loved the rush of not knowing when your seat would spin again. Because of our studious nature, we all wanted to return to Brisbane at a decent hour to focus on our studies. We made one pit stop to Yatala Meat Pies for a bite to eat. Some of us were experiencing meat pies for the first time but we were all savoring the pies after a long day in the sun. I liked my steak, bacon, and cheese pie so much I ordered a few to take home! Can’t wait to pop one in the oven when I don’t have to cook and reminisce on this lovely weekend getaway. Look like you are having a blast! Wish we were with you at Wet-N-Wild. I know the kids would enjoy it! Love you! We definitely need to go to Wet ‘N Wild! The kids would never want to leave. Love you too!